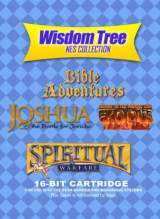 Wisdom Tree - Nes Collection © 2015 Piko Interactive LLC. 4 games in one, ported from NES on the Genesis ! It includes Bible Adventures, Joshua, Exodus, and Spiritual Warfare.